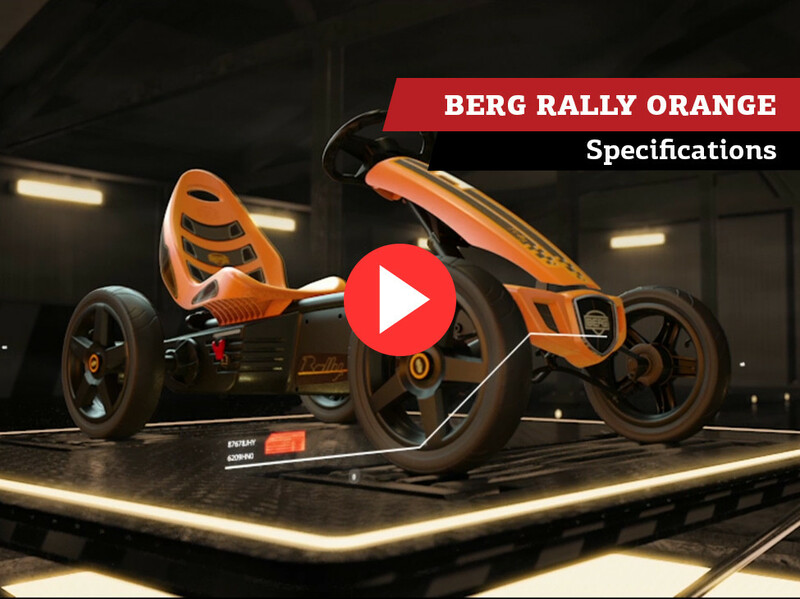 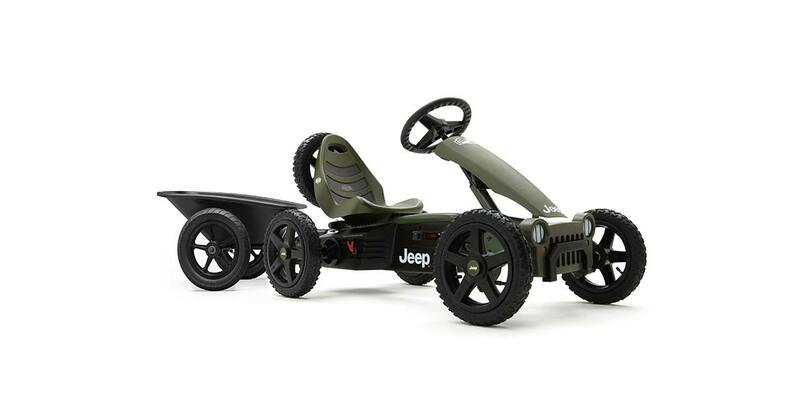 Everyone will be envious when you whizz past on this beautifully-designed go-kart. 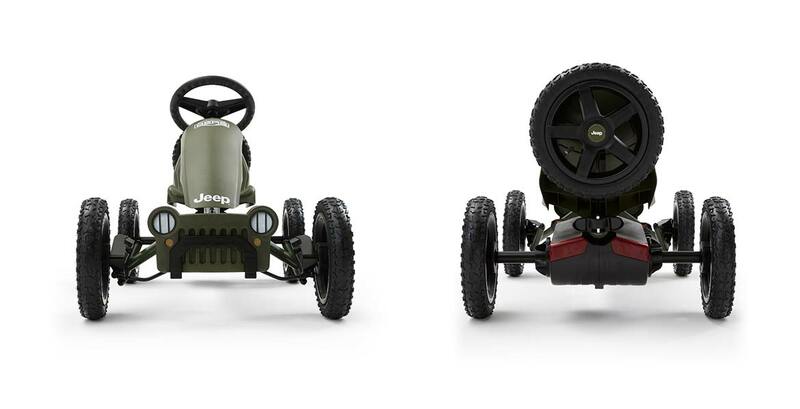 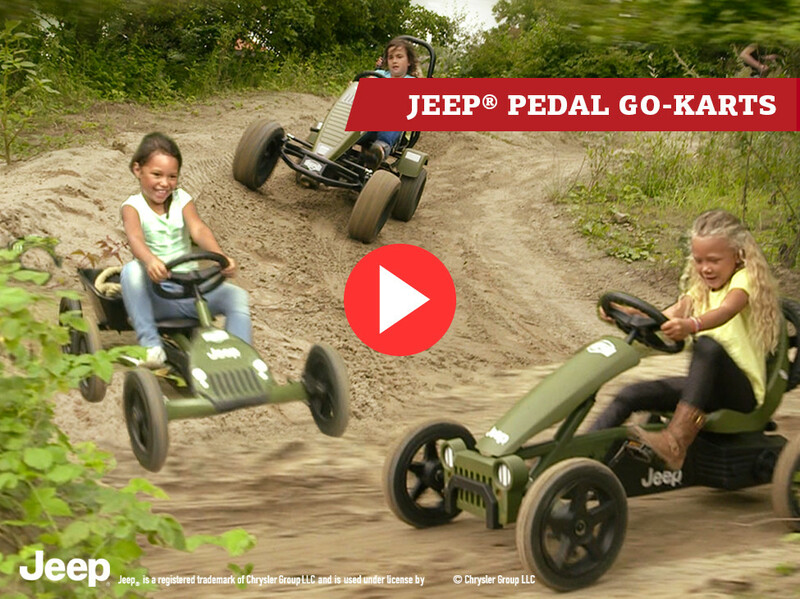 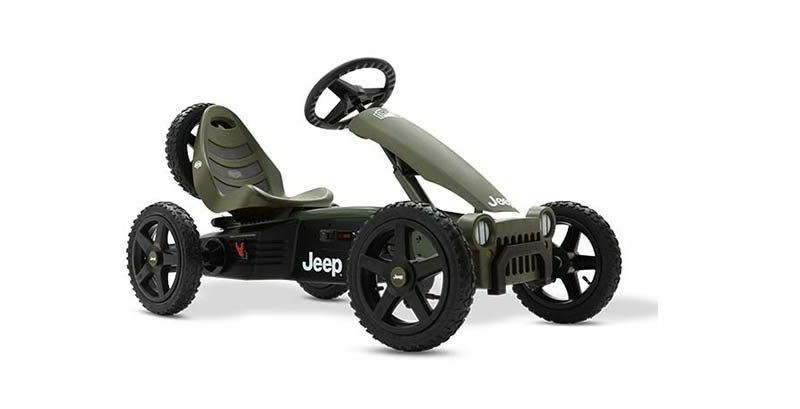 The Jeep® Adventure is a light and compact go-kart letting you travel the narrowest paths with ease. 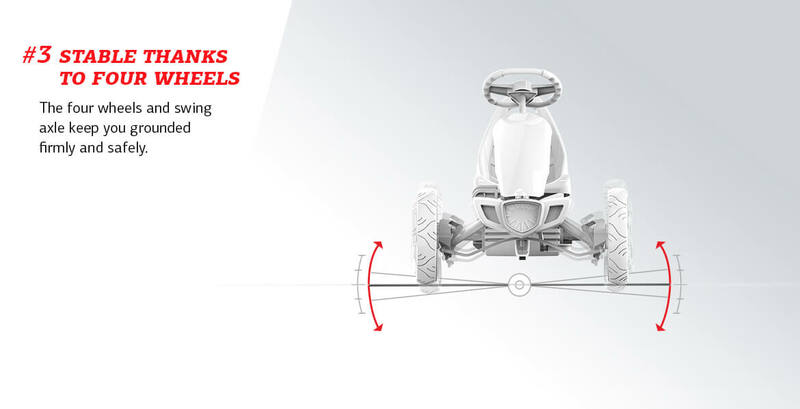 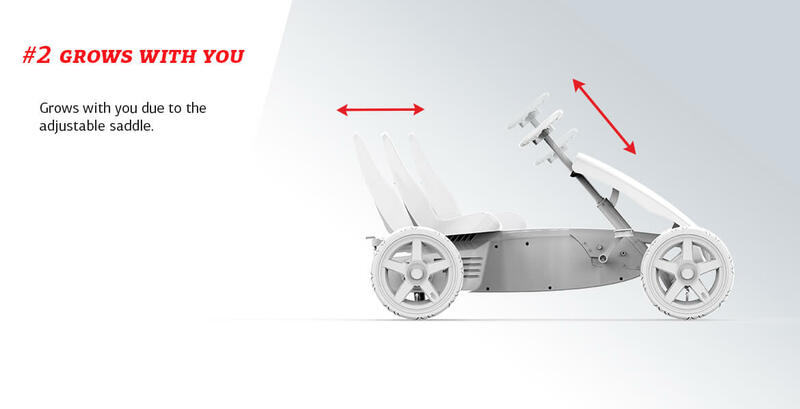 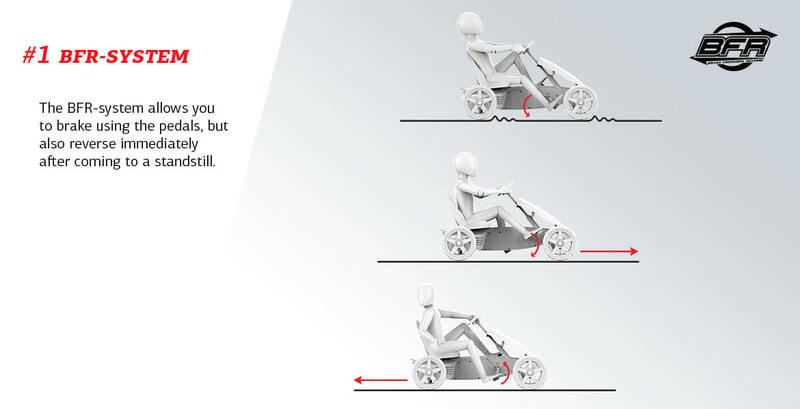 The unique BFR system ensures that you can brake with your pedals, and after coming to a halt, you can immediately pedal backwards! 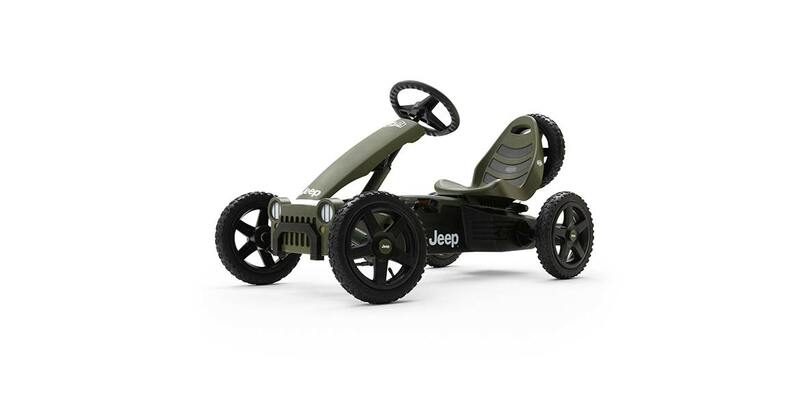 • Compact and light design; small, manoeuvrable, and yet suitable for children up to 12 years old. 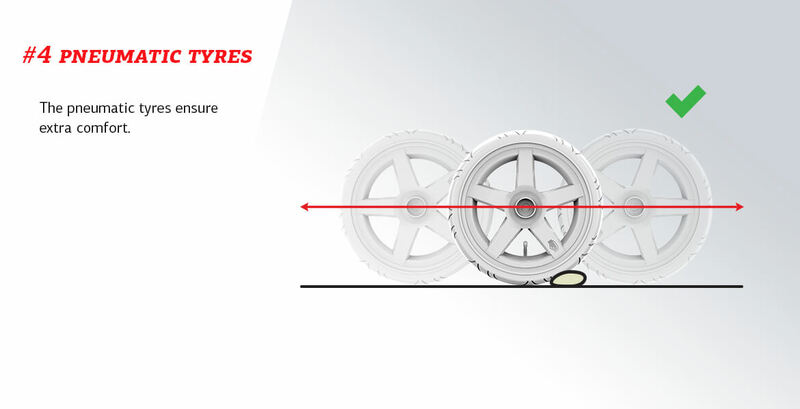 • Equipped with coaster brake and parking brake.